From here relax and enjoy the views on the short drive by courtesy transport to the beginning of the 2.5 hour walk. 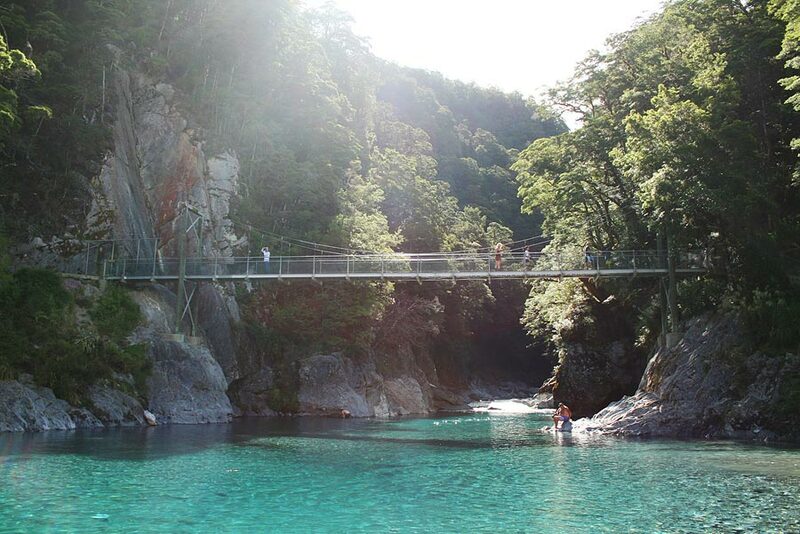 The walk is on a well formed track through native beech forest which leads you to cross the first of 4 swing bridges and the clear and pure waters of the ‘Blue Pools’ – pristine, beautiful pools in the Blue River to linger at and enjoy while spotting fish. 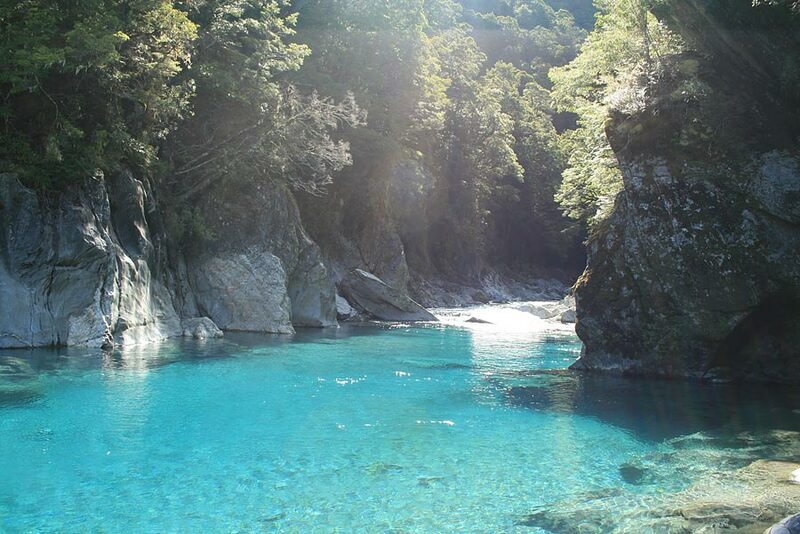 The Blue Pools are world renowned and voted by visitors to NZ as a “must do”. From here the track winds through native forest amongst the mountains of the Southern Alps near the banks of the Makarora River. Interesting and picturesque this is a very ancient setting only recently made easily accessible by the Department of Conservation forming a track through to link with the Young Valley track. Birdlife, nature and natural quiet are the most noticeable of experiences encountered during your relaxing walk on relatively flat terrain in this special part of the Mt Aspiring World Heritage National Park. 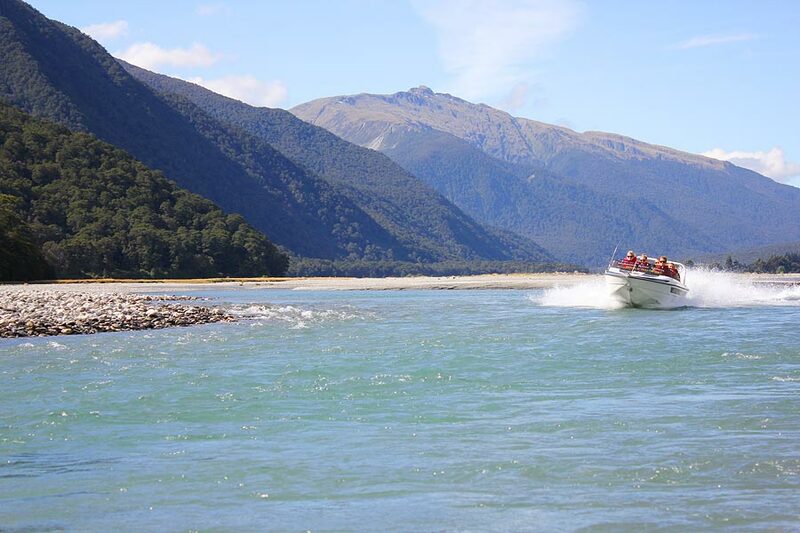 The track leads you to the meeting point at the mouth of the Young River where the jet boat will be waiting to whisk you off on a 1 hour scenic and spectacular journey through the Makarora Valley on the glacially fed waters of the clear, blue Makarora River. 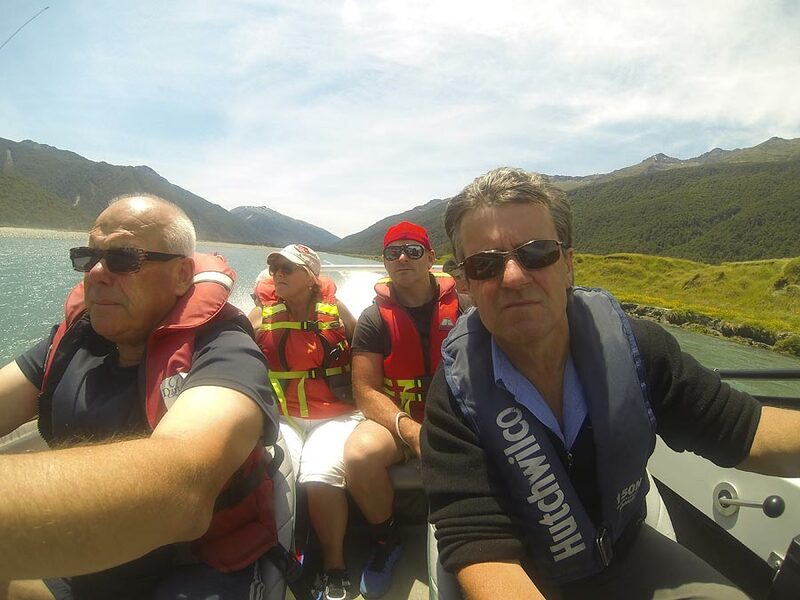 Feel the wind in your hair during your jet boat safari and be intrigued by the changing landscape as you journey to the mouth of the Makarora River and to the head waters of Lake Wanaka before returning to Makarora Village where your adventure began. Experience a true New Zealand wilderness adventure. 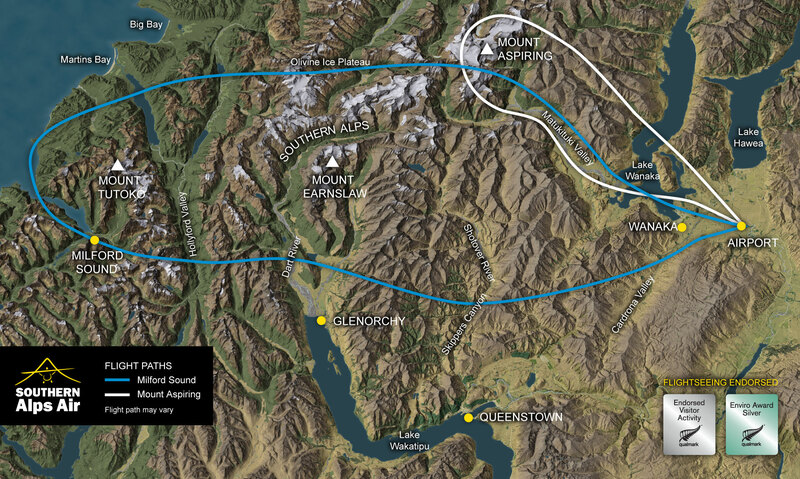 Fly, Walk, and Jet boat through New Zealand’s most spectacular Alpine environment on an adventure like no other. Past spectacular glaciers and snowcapped mountains. Amongst native bush, pristine river valleys and ice capped mountains. 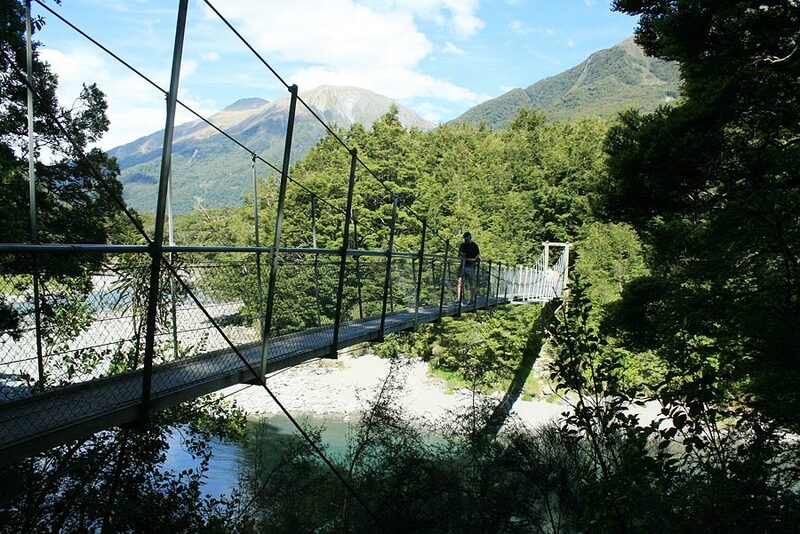 Depart from Makarora, state highway 6, 45mins north of Wanaka, 1hr 30 mins south of Haast.